The time has come for us to renew our fleet of kayaks for next season! 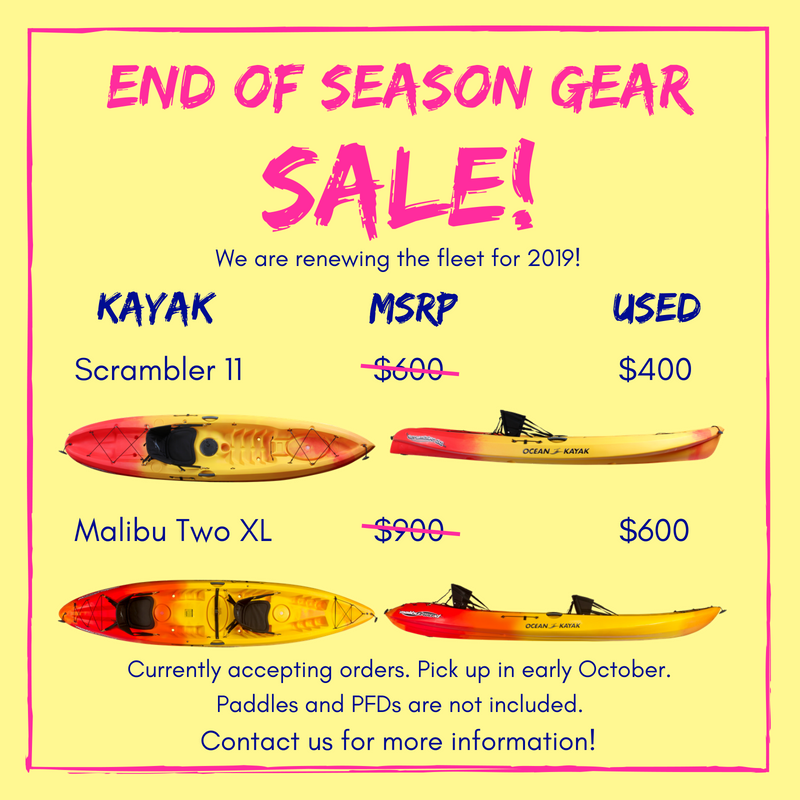 We are selling our used gear in October for great savings! Single and tandem kayaks are available. Gear is well-loved (AKA used), so kayaks have scuffs and/or scratches, but are in good working condition and will still be able to take a continuous beating for years to come. • Rate includes kayak and seat. Paddles and PFDs are not included.